After exploring the biblical Negev region on our previous field trip, this week we were staying in the biblical period but moving our focus to the area of the Judean Lowlands (the Shfela, in Hebrew). This is an area of hills and valleys that runs roughly from Mt Hebron westwards until meeting the flat coastal plain. Its main city is Beit Shemesh. In biblical times it was a border area between the tribe of Judah and the Philistines, hence it witnessed quite a lot of tension. We began our day with a drive through the Tzora forest along the so called ‘Sculpture Trail’. This was a project run by the JNF and encouraged mostly local residents (many new immigrants) to make sculptures in the forest. I don’t think I would particularly go out of my way to see these sculptures in the future, but we did also go up the Tel Tzora (you may recall by now that a Tel is an archaeological mound), where we had a commanding view of the area from which to take our bearings, and where we were able to visit the site traditionally associated with the grave of Samson and his father Manoah. Our guide took this opportunity to regale us with the story of Samson from the bible, which took place in the area of the Judean lowlands, pointing out key sites from the viewpoint. And then some members of the group took the opportunity to visit the tomb which is considered a place to pray for strength. 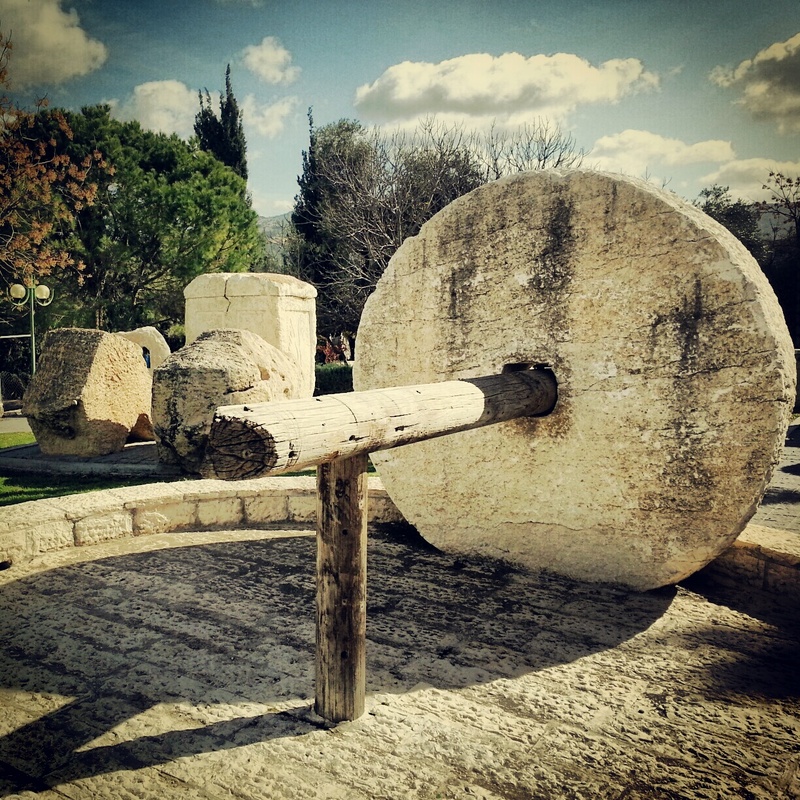 Continuing our artistic opening to the day, we made a brief stop in the Gan Golan sculpture garden in the historical centre of Beit Shemesh. Golan Peli sadly was killed during the first intifada; his parents were artists and used this space next to their house to create sculptures and place them there in his memory. The sculptures all represent traditional ancient life or stories from the bible. 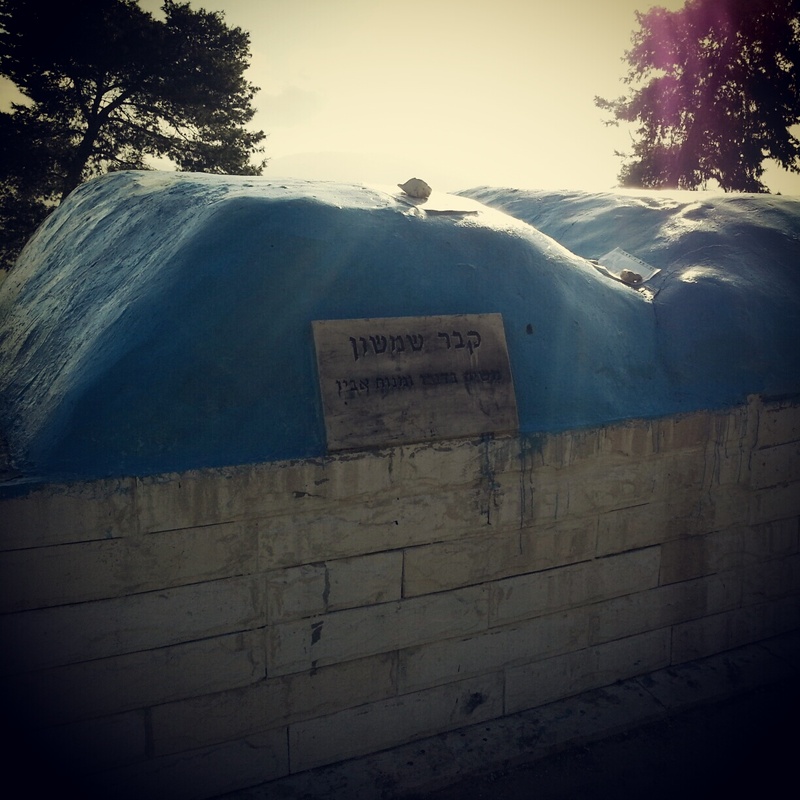 It is a small garden, but if one is in Beit Shemesh anyway, it is a nice place to visit. 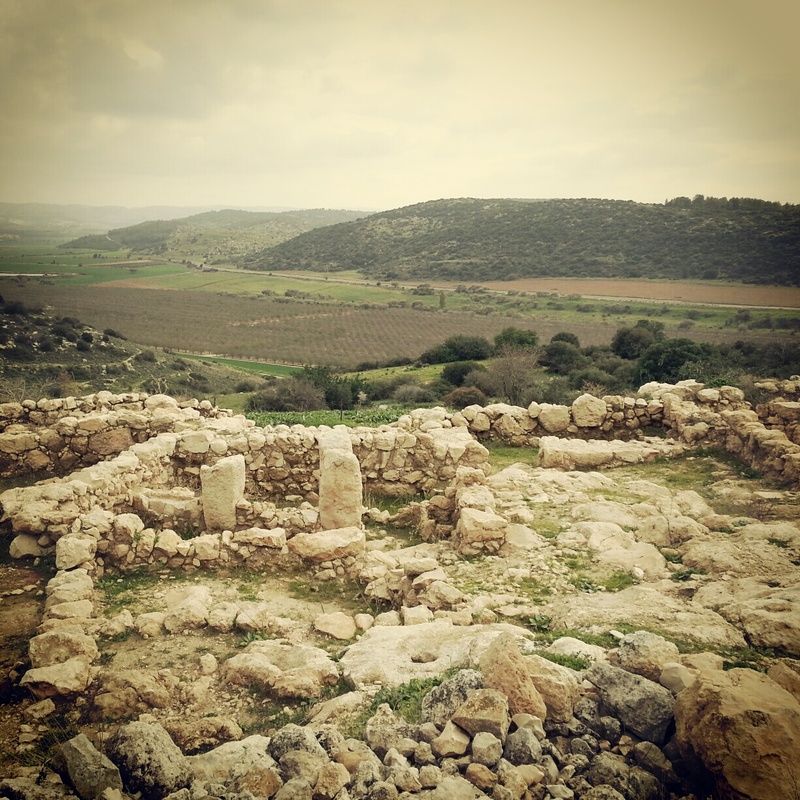 We pulled out of the modern town of Beit Shemesh and returned to biblical times, visiting Tel Beit Shemesh, the site considered to be the location of the biblical city of the same name. Here we read from the book of Samuel, hearing the story of the Philistine capture of the Ark of the Covenant and its return to the Israelites at Beit Shemesh. Our guide pointed out the route it would have taken as it was brought up to the city on a wagon from the Philistine territory. As part of the excavations they have discovered an ancient cistern and we brought out our torches to have a quick wander inside, which brought a small sense of adventure to our enterprise. 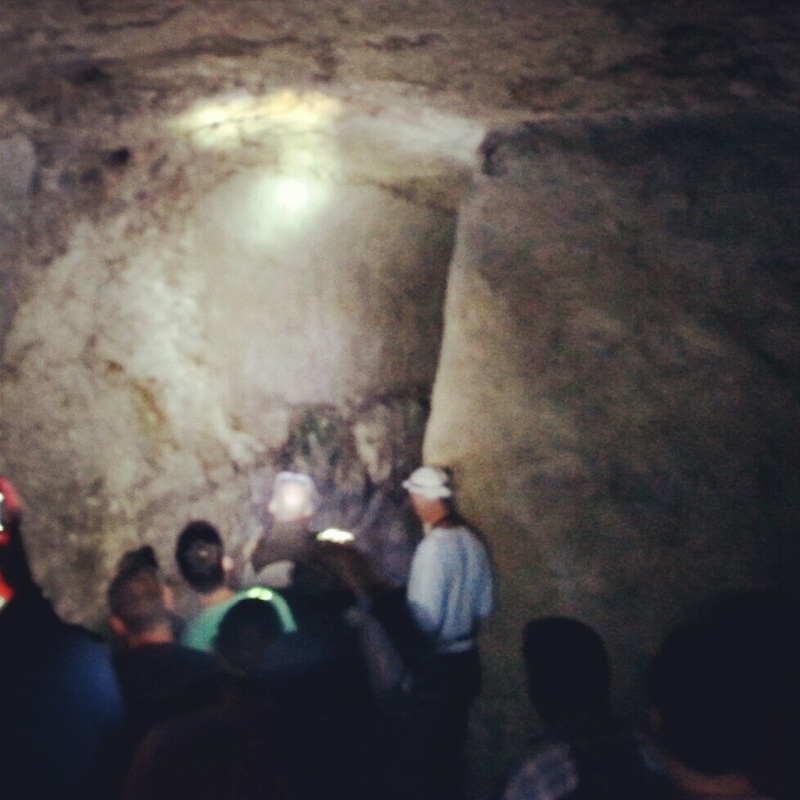 A short journey down route 38 took us to Khirbet Qeiyafa, another archaeological mound. As recently as 2007 excavators here discovered a fortress in the Israelite style. The site has become important as carbon dating of olive pits unearthed here date the site to the period associated with the rule of King David (although as with most archaeology in Israel, this is majority but not consensus opinion). Various other evidence corroborates that it was a Jewish settlement. This would therefore be an extremely important site; the only site we have from this time period. But it remains fairly unknown to the public; excavations are still taking place and it is not signposted at all from the road. To visit, I recommend finding an appropriate tour guide! Close by we visited another archaeological mound: Tel Azeka, which is in the midst of the Britannia Park, a JNF forest funded by donations from the UK (hurrah for the UK!). We ascended the tel and enjoyed a commanding view of the region. Our guide read to us from the story of David and Goliath and pointed out where various elements of the story took place. There is something very powerful in hearing these stories one grew up with in one’s childhood in situ. One begins to envision the tale taking place before one’s eyes; it becomes much more real. Our final visit was our most southern, Tel Lachish. This site is mentioned a huge amount in biblical and non biblical sources from the time, and was host to a large complex of temples in the Canaanite period and the second most important Judean city in the Israelite period. The Assyrian king Sennacherib laid waste to it on his war campaign in 701 BCE and a relief of his battle is exhibited in the British museum in London. We made do with a copy and our guide explained the details of the battle; we were able to see the ramp that Sennacherib’s troops built in order to go up to and rout the Tel. It was a major victory but Sennacherib did not make it to Jerusalem; the bible says that his troops were struck by a plague; his memoirs say that he returned to defend a Babylonian invasion. The Israelites did return to Lachish eventually but the city was attacked and destroyed again during Nebuchadnezzar’s invasion in the 6th century BCE. A somewhat unfortunate bunch, it seems. The ruins are extensive and the site also commands an outstanding view of the Judean Lowlands over to the coastal plain. It was with this view in our minds that we returned home to Tel Aviv.